A Xbox 360 dashboard screenshot for the Call of Duty 4 Beta has shown up on the cod4forums website. 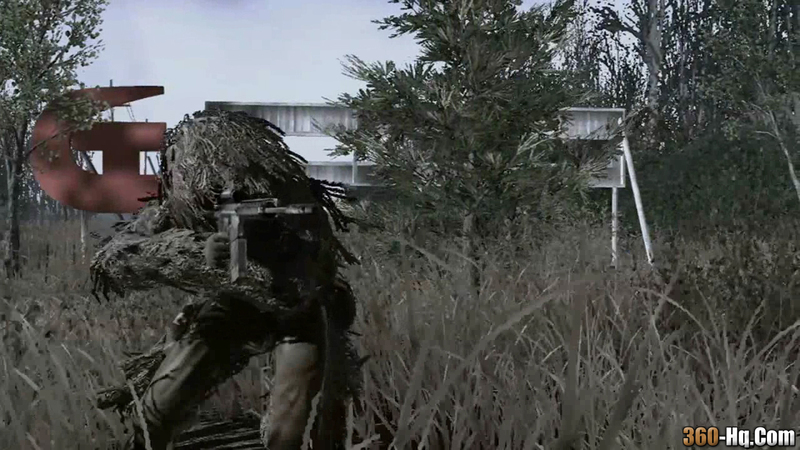 The Call of Duty 4: Modern Warfare Xbox 360 Beta is set to appear later this month. Here is the COD4 BETA Countdown at the time this story was published.. 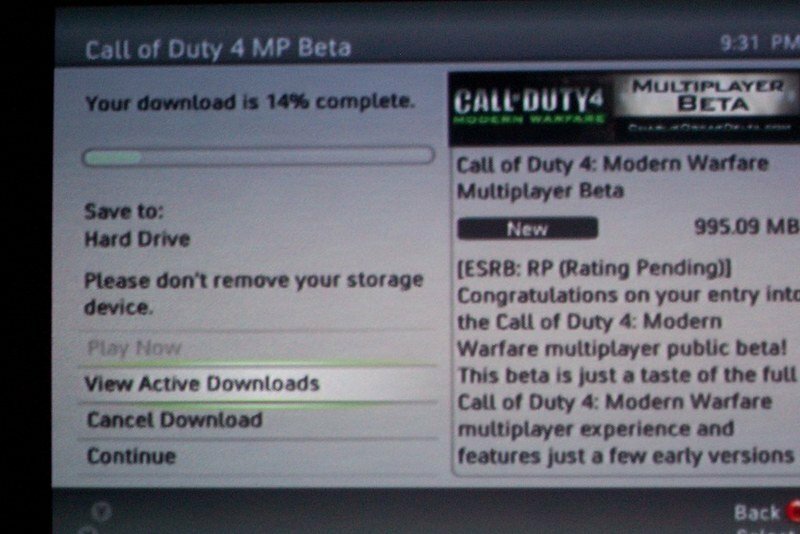 The Xbox 360 dashboard screenshot (shown below) shows the COD4 Beta download at 990 MB. "Congratulations on your entry into the Call of Duty 4: Modern Warfare multiplayer public beta! This beta is just a taste of the full Call of Duty 4: Modern Warefare multiplayer experience and features just a few early versions..."
Watch the official Call of Duty 4 CharlieOscarDelta.com web site for the official announcement of the beta's availability. 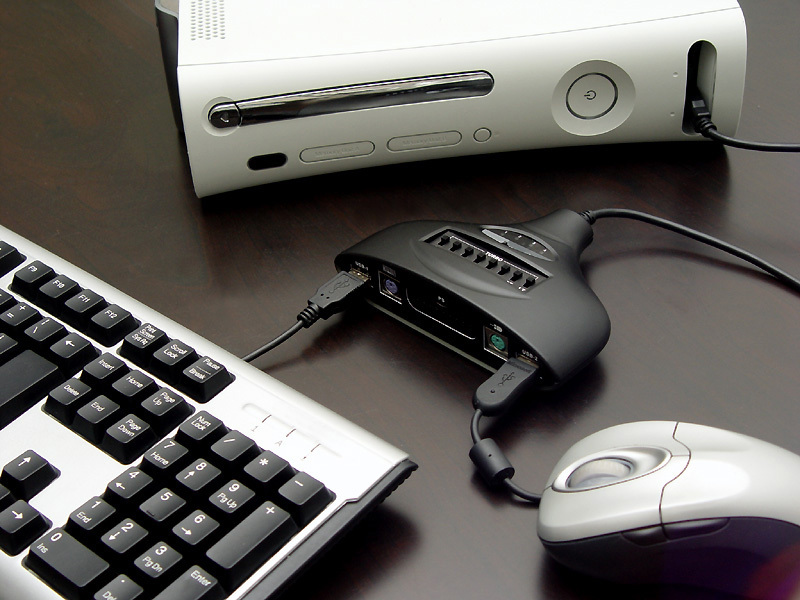 With the most recent dashboard update Microsoft has included DivX and XviD .avi file support on the xbox 360 but most of us here on 360-HQ.Com have still been wondering what's the best way to store all our media. Anyway, thanks to some nifty software from the guys over at www.mediafour.com called "MacDrive" we have successfully been able to format a NTFS USB Harddrive which would not work or be found by the xbox 360 to the HFS+ format. 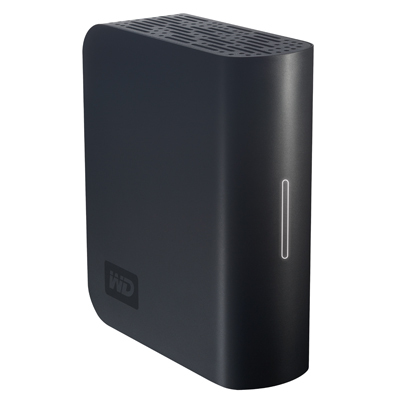 Since most USB HDD's on the market are formatted in FAT32/NTFS we have found that if you format these drives to the HFS+ format there is no longer a 4GB file size limit like FAT32. 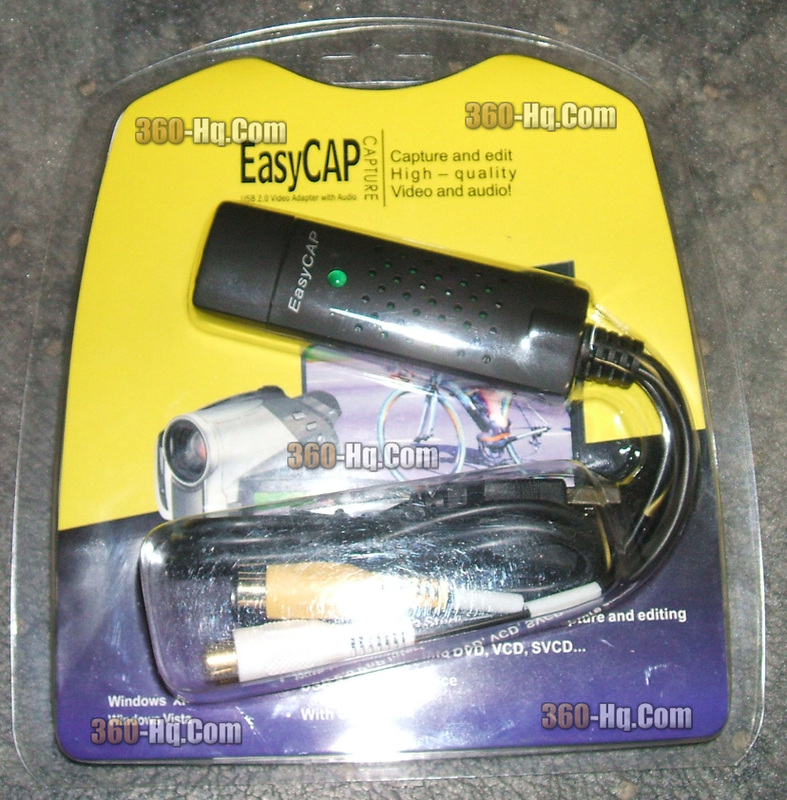 Once your usb HDD is formatted as HFS+ it can then be used on the XBOX 360 for viewing HD WMV, DIVX and XVID files of any size and can also hold your mp3 collection and images. For those of you who are interested Ozzy and I (forahobby) have written a small tutorial to help you all get the most out of your Xbox 360. This tutorial will explain how to format a External HDD drive into the HFS+ Format and enable it to be used on the XBOX 360 for viewing HD WMV, DivX, XviD, Mp3's and other supported content of any size. No longer is there a 4GB file size limit like FAT32. If you would like to discuss this topic further please get involved in our official 360-hq.com forum topic which can be found here. Don't forget to add 360-Hq to your favorites guys.. We try our best to bring you all the xbox 360 info you will ever need. Hardware, Software, Games and more. A member named legueux from gx-mod.com forums has recently released detailed information and now a video to show how he has managed to unban his Xbox 360 Console on Xbox LIVE. It's not like everyone is going to be able unban their consoles just yet because you need the Xbox 360 CPU key (which can be found using the Hypervisor Exploit or Timing Attack to downgrade first). 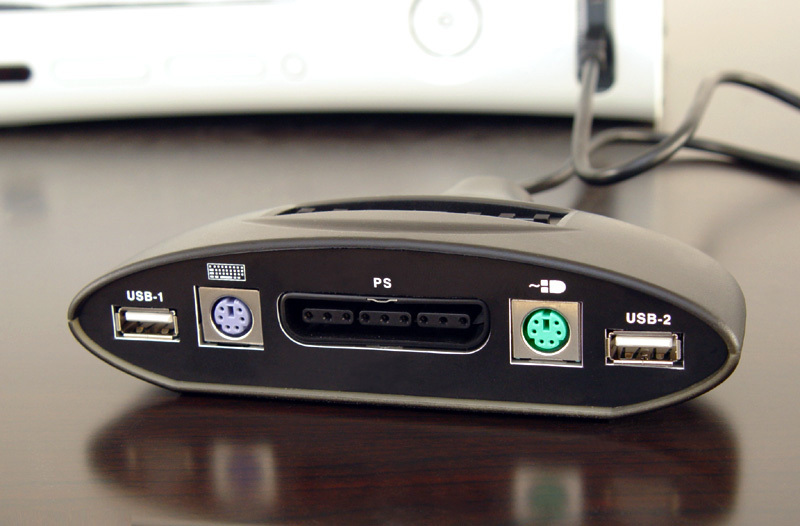 Many additional tools are also be needed to read the XBOX 360 NAND before you can flash the console with the new information and unban it. Downgrade banned 5787 PAL to 4532 NTSC U, updated again to 5787 via HD. Still banned. Downgrade banned 5787 PAL to 1888 PAL, updated again to 5787 via HD. Still banned. Patched original 1888 PAL dump with the last number of the Xbox 360 serial in the keyvault (location A0 to AB) changed. Still banned. Patched original 1888 PAL dump with the all the numbers of the Xbox 360 serial in the keyvault changed. Still banned. Replaced the full keyvault in his original 1888 PAL dump of the banned console with a keyvault of an unbanned console. Connected to LIVE OK, updated to latest kernel online OK, still connects fine to LIVE. The video linked below shows a banned console and how it'll has been unban and will re-connect to xbox LIVE again after he has flashed the console with the 1888 dump with patched keyvault of an unbanned console. 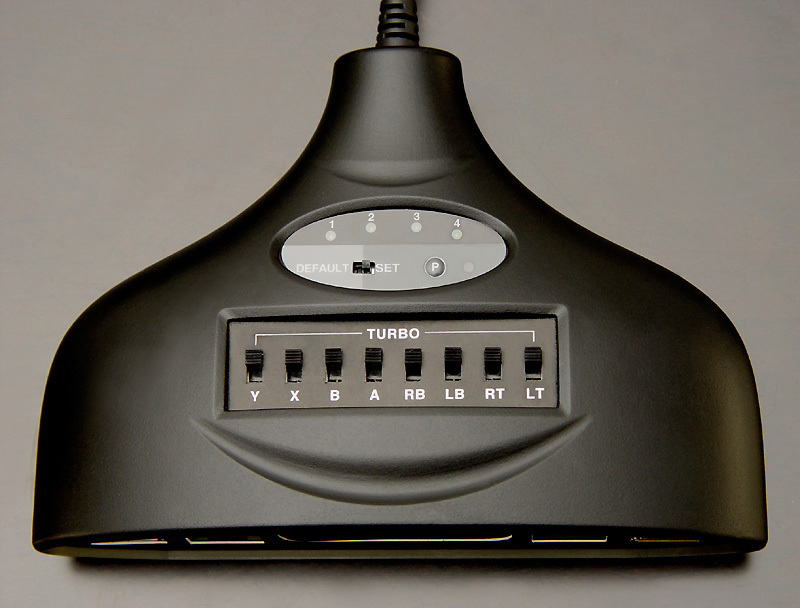 360-Hq Forum Topic: Unban your Xbox 360! 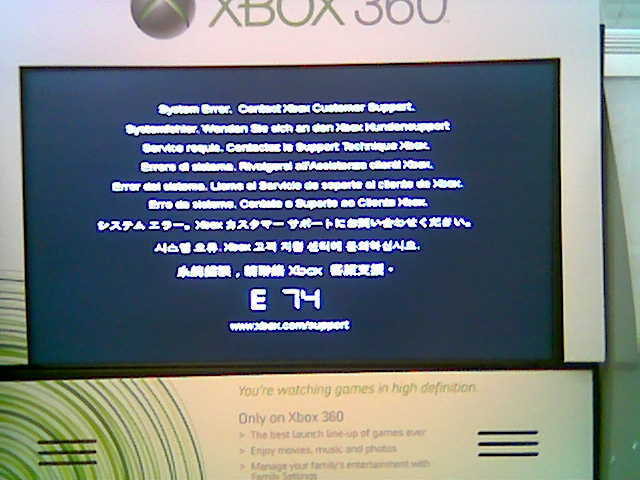 Agent21KGB posted the first picture of the Xbox 360 error/crash screen on our forums. "So I went to the local Wal-Mart and walk on the 360 display and was like well I'll see If I can get a better look at this deal since few people were in the place. I turned the corner and found the Contact Xbox support screen. The xbox was blinking red and claiming error 74."